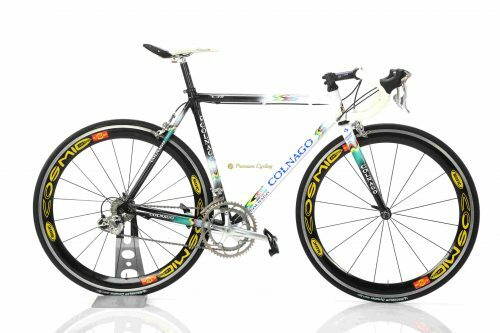 In 1994 Colnago started to produce their very successful model C40 — ‘C’ for carbon and ‘40’ to commemorate Colnago’s 40th year in business. Full carbon frame with Master profile carbon tubes bonded to carbon lugs. Colnago solved the problem of how to make a carbon frame durable enough to win the toughest cobbled Classics yet light enough to soar up Alpine cols. That’s the reason why the C40 is the favourite bike of all time for so many people — including Sir Bradley Wiggins. Colnago could have created something with perhaps a swoopy, futuristic profile befitting its revolutionary design. Instead he kept the tubes ramrod-straight in the traditional style — albeit with the star-shaped cross-section that he had pioneered with the steel Master. Mapei was an Italian-based pro cycling team active from 1993 to 2002, named after sponsoring firm MAPEI. They were the biggest and most ambitious team that cycling has ever seen and won practically everything. Looking back from another decade, we examine that Mapei team earned a unique place in cycling history. For 7 years in a row (1994-2000) they won UCI Team rankings. Stars riders included Abraham Olano, Johan Museeuw, Michele Bartoli, Franco Ballerini, Óscar Freire, Frank Vandenbroucke, Axel Merckx, Andrea Tafi, Tony Rominger, Paolo Bettini among the others. 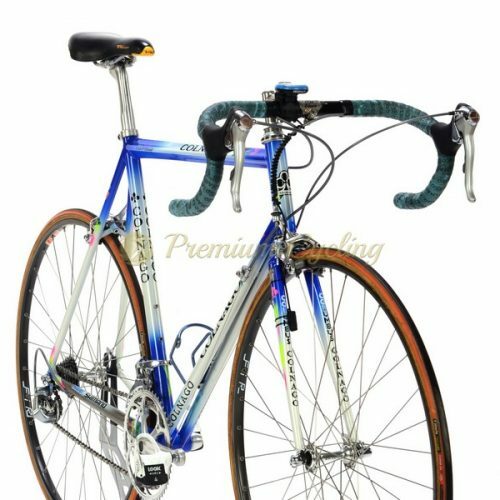 The Colnago C40 won 5 out of 6 editions of Paris-Roubaix in years (1995-2000) and several world champion titles in years 1996-2002. Spaniard Oscar Freire was one of the one-day classic riders, having won the world championship three times (1999, 2001 and 2004). With 3 rainbow jersey he is equalling Binda, Van Steenbergen, Merkcx and Sagan. 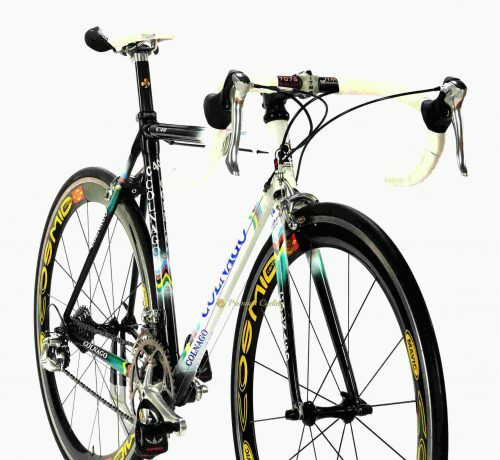 Here we are proudly presenting the legened of the one day classics – COLNAGO C40 Wolrd Champion, which dates back to 2000. Full carbon frameset is shinning in outstanding World champion paintjob, equipped with Shimano Dura ace 7700 groupset, Mavic Cosmic wheels and ITM Millenium cockpit. One of the last real bikes. No much words needed. The legend! For all Colnago fans. Condition: Used, but very good condition. No cracks, no dents, not bent. Some signs of normal use. All parts are working fine.